One of the key aspects of Continuous Integration is always to see how the builds are performing, gathering important metrics, documenting those outcomes and generating continuous feedback through continuous builds. What are the benefits of having these metrics in place? Not Committing Code Enough − If developers are not committing code to a version control repository frequently, the reason may be a slow integration build. To begin to reduce build duration, perform a high-level analysis of the integration build environment to determine the bottlenecks. Next, analyze the findings and determine the most appropriate improvement, then attempt to make changes in the build process to reduce the build’s duration. Lastly, reevaluate the build duration to determine if further improvements are warranted. Improve Test Performance − Even in a well-functioning CI system, a bulk of the integration build time will be taken up by the execution of automated tests. Evaluating and improving the performance of these tests can dramatically reduce build duration. 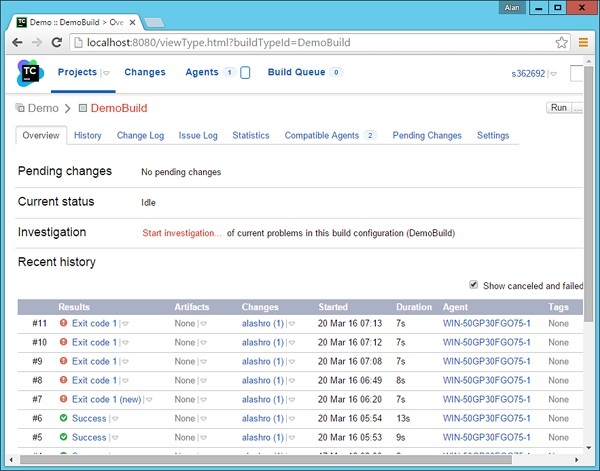 Infrastructure Issues − You may discover that integration builds are slow because of the system infrastructure. Perhaps network performance is slow or there is a slow-performing virtual private network connection. Geographically dispersed systems and unreliable hardware or software can also induce performance issues. Investigate and improve any infrastructure resources to reduce the build duration. Following are some of the metrics which are available in a Continuous Integration server. One of the simplest form of metrics is what is available in the project dashboard. The key element here is to note the duration of each build. If the duration of each build starts increasing disproportionally to the code being built, then this could be an issue. So, this is one feedback that can be taken and the causes of this could be that the CI server is low on resources and maybe the capacity of the server needs to be increased. TeamCity has the facility to see if the CI server is in fact having any sort of issues with regards to infrastructure. 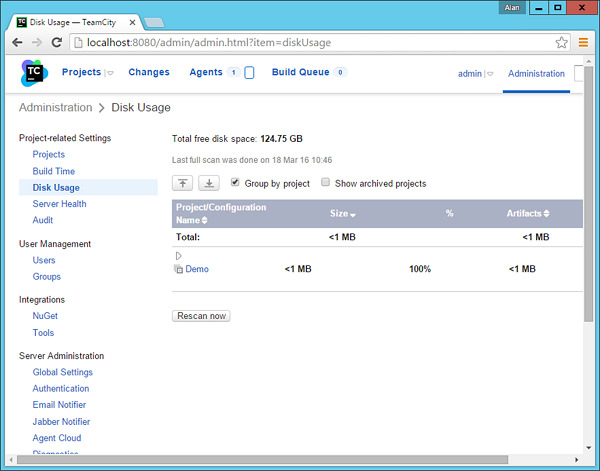 In the admin dashboard in TeamCity, one can click on Disk Usage to see how much disk space is being consumed by each build. If any more details are required, then TeamCity has the diagnostics button, which can give more information on the CPU and Memory being utilized by the CI Server. If one wants to see a detailed view of the builds of a particular project over time, then this is available as a part of the project builds. 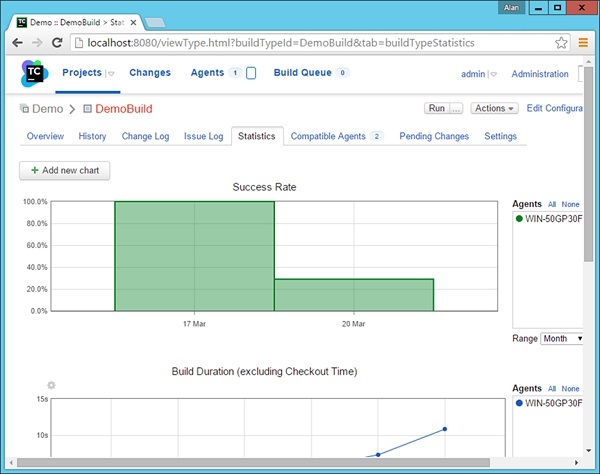 In the Project build screen, go to the Statistics screen, this will provide various statistics and charts on how the build is performing.